Actuators are powered devices responsible for moving or controlling a mechanism or system in linear motion. Actuators are operated by some kind of power source, whether it’s a manually turned screw shaft, a pneumatic cylinder, or an electric motor. The two most common types of automatic actuators used today are electric and pneumatic actuators. In their infancy, the cost of electric actuators was a huge barrier for many companies. Now that prices have settled down, they’re becoming more and more prevalent in numerous industrial applications. You may have overlooked them in the past, but it’s time to take a second look at the advantages of switching to electric actuators. What are Electric Actuators used for? Actuators are tasked with raising, adjusting, tilting, pushing or pulling a tool to accomplish a task where linear motion is required. Electric actuators excel at repeatedly moving loads from point A to point B and back again in a steady and continuous manner. They are the best choice for repeated motions that are continuous and consistent. 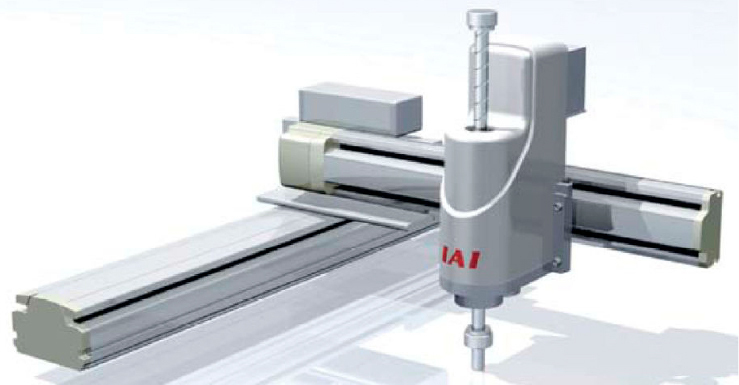 A single actuator can be used to move a tool left to right (x-axis movement), or move a tool in or out (y-axis movement) or to raise or lower a tool (Z-axis movement). Multiple electric actuators can be combined to maneuver a tool along any two or all three axis to accomplish a specific task. These combinations of actuators are referred to as a Cartesian Robot. 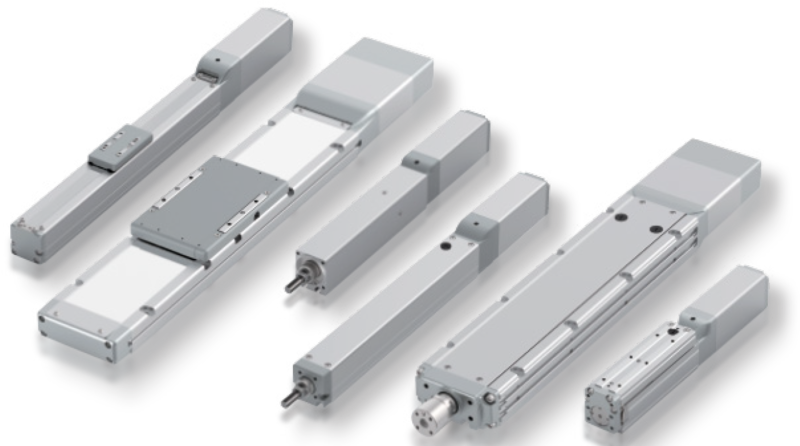 Electric actuators offer many advantages and benefits over pneumatic cylinders. Requiring only simple wiring, electric actuators can be installed quickly and at little cost. Setting the desired start and end points is as simple as entering the home set point and the end set point with a keypad. Done. Air cylinders require setting and adjusting the mechanical end position, adjusting the auto switch position and shock absorber position and then fine tuning the position of each part. Because they are digitally controlled, electric actuators provide extremely accurate control of acceleration, speed, position, and torque. Positioning can be determined to the hundredth of a millimeter. With a touch of a few buttons, electric actuators are easily programed. They can just as quickly be reprogrammed or reconfigured to handle a new application. As noted above, achieving a quick turnaround with a pneumatic cylinder is just not possible. With standard air cylinders, stable operation cannot be achieved at low speeds because chattering occurs. Air cylinders specifically designed for low-speed applications are available, but adjusting them can be difficult. While electric actuators offer a smooth motion profile at any speed, they offer excellent stability at speeds as low as 1mm/s. Speeds can be adjusted at increments of 1 mm/s. Because they use mechanical stops to limit travel distance, pneumatic cylinders experience a lot of wear and tear and typically have a service life of 2 years. This life span is determined by how fast the gaskets and seals deteriorate. Electric actuators on the other hand, utilize data points to limit travel. Because of the absence of hard stops, and the ability to control the rate of acceleration and deceleration of the tool they can have a service life of up 20 years. The absence of hard mechanical stops and seals and gaskets means electric actuators don’t require regular maintenance – reducing costs and increasing productivity. Other than a power source, electric actuators are self contained – cutting down on the downtime caused by outside sources. Pneumatic actuators rely on external pumps and motors – leaving the device vulnerable to changes in air pressure and compressor breakdown. Quick installation and setup, lower cycle times, reduced downtime, longer service life and lower electric costs of utilizing electric actuators lead to an overall less expensive system. Installation Orientation - will the actuator be installed horizontally or vertically? Stroke - how far will the tool have to travel? Payload and Moment Load - how heavy is the part or tool being moved? Moment Load refers to how far the payload is off center at its farthest reach. Cycle Time - how fast does the tool have to travel from Point A to Point B and back? Duty - refers to the life cycle of the actuator. How long will the bearings be expected to last?